The Pont Neuf, Toulouse "The green water of the Canal du Midi and the pink brick of the Minimes": Claude Nougaro could sum up his hometown in a few words because in Toulouse, aptly named " the pink city", it is all about colour. You only need to take a stroll in Capitole square or over the Pont Neuf to see this for yourself. Again it's a matter of colour in its historic centre full of remarkable Renaissance mansions built by the period's rich pastel merchants. But Toulouse is also an important hub for advanced technology which attracts students and high-flying technicians. So it's a lively, young city with a growing population. And like any growing city, the property market is buoyant and can be an excellent investment. 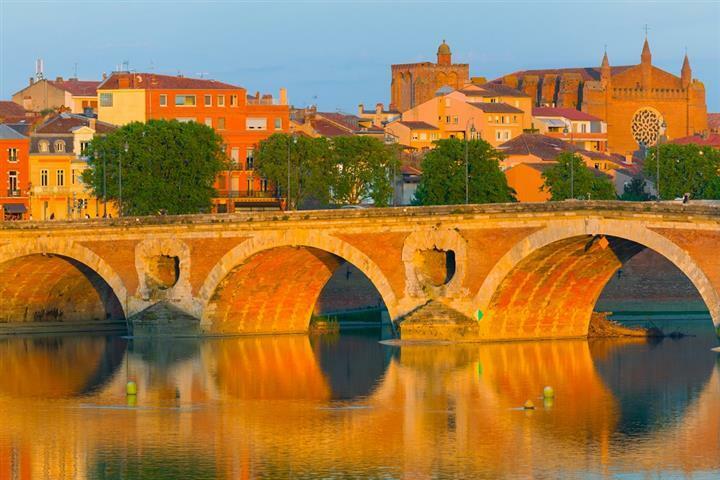 The real estate market in Toulouse and its surrounding areas offers all types of property for sale: businesses, offices, apartments and houses... from the "typical little Toulouse style pad" to luxuty residences.